Group photo from the M36 meeting of the project INSPIRED (INdustrial Scale Production of Innovative nanomateRials for printEd Devices), hosted in San Sebastian, Spain from the 28 to the 30 of November 2017. 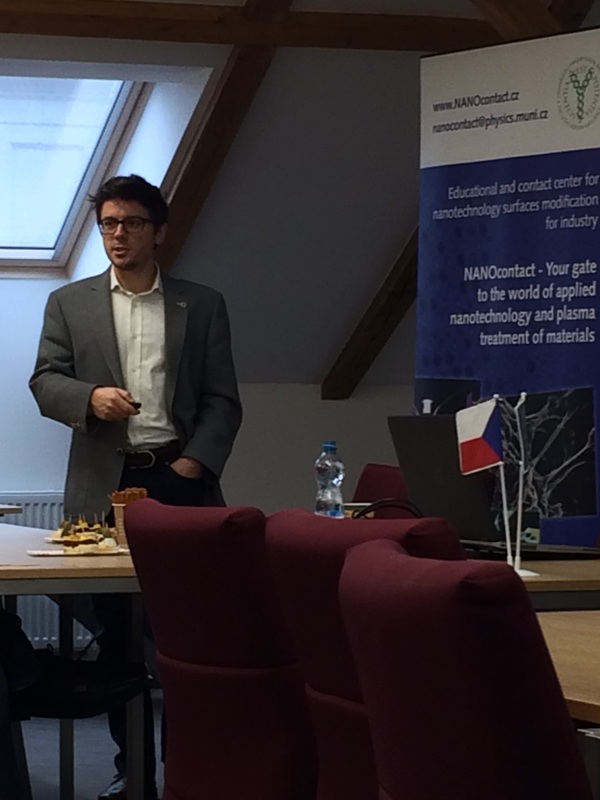 NANOCONTACT conference: POTENTIAL APPLICATION OF PLASMA AND NANOMATERIALS was held in Brno (Czech Republic) from 20 to 21 November 2018. 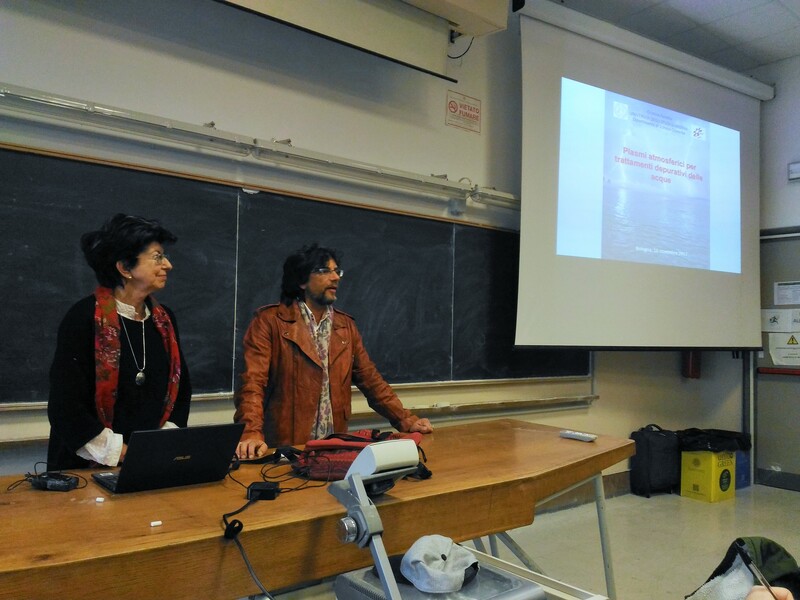 On November 17, 2017, Prof. Cristina Paradisi from the Università degli Studi di Padova, Italy, held the lecture “Plasmi atmosferici per trattamenti depurativi delle acque”. We thank her for visiting our class and laboratories! 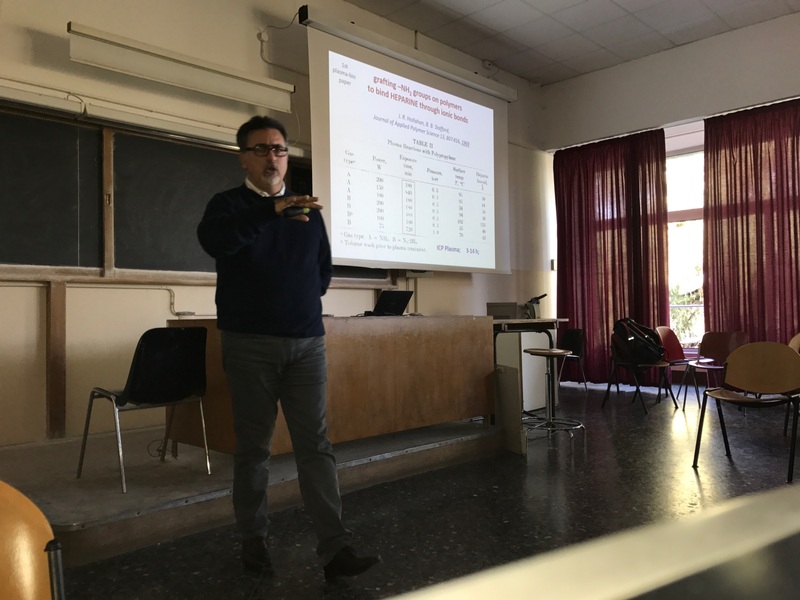 On November 14, 2017, Prof. Pietro Favia from the University of Bari “Aldo Moro”, Italy, held the lecture “Low p surface modification plasma-processes of materials”. We thank him for visiting our class! On November 8, 2017, Dr. David Duday from LIST, Luxembourg, held the lecture “Cold atmospheric pressure plasma deposition of thin films for industrial applications”, during the 2017/18 course of “Industrial Applications of Plasmas”. The visit of Dr. Duday is organized by Dr. Gherardi. We thank him for visiting our class and laboratories.